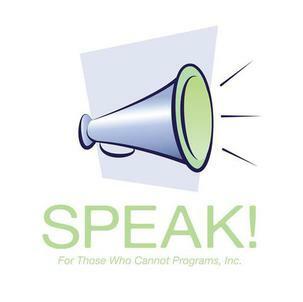 Join Our Team at Speak for Those Who Cannot Programs, Inc.
Are you looking for an exciting volunteer opportunity that will help you build your resume? Or are you retired and looking for an opportunity give back to the community? At Speak for Those Who Cannot Programs, Inc., one person can make a big impact. Volunteers are key asset for any nonprofit organization. SPEAK! is no exception. Please consider volunteering 1, 2 or even more hours with us. Thanks to technology there are many opportunities to help without even leaving your home. Contact us today for more information at Volunteers@Speak4TWC.org or at 302 401-8333. We value our professional, staff and event volunteers. Get involved today. Thanks for your interest in joining Speak for Those Who Cannot Programs, Inc.. If you have skills or would like to gain experience in the following areas listed below, SPEAK is forming teams to work on its Awareness Initiatives. Youth, begin building your resume today. If you have skills or would like to gain experience in the following areas listed below, SPEAK is forming teams to work on its Awareness Initiatives now.